The pattern was printed in six sections from 20 percent carbon fiber filled ABS and the joints between the pieces were machined, pinned and bonded together before the assembled hull was machined to its final size and shape. Photo courtesy of Thermwood Corp.
Tahoe Boats has made its first hull mold using 3D printing. 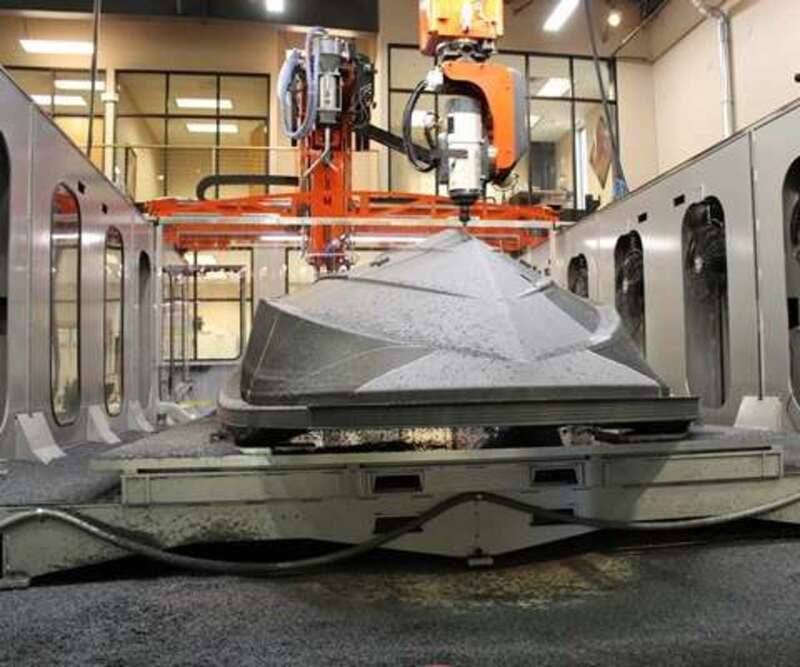 Working with Thermwood Corporation, the boat manufacturer used the composite company’s Large Scale Additive Manufacturing system to print the mold for the new Tahoe T16. Thermwood printed the master pattern for the tooling at its Development/Demonstration Labs in Dale, Ind., where it was printed in six sections from 20 percent carbon fiber filled ABS. The joints between the pieces were machined, pinned and bonded. Then the assembled hull was machined to its final size. According to a statement, the process was finished in 10 days. The mold was sent to Tahoe parent company White River where it was sanded and finished with a proprietary coating. Thermwood says that with its new Vertical Layer Printing, which wasn’t available at the time the mold was made, the mold can be produced in even less time, approximately two days, because the new process eliminates the machining between the sections and the bonding process.